Download and Install SysTools Windows File Recovery Software on Windows 10, 8.1, 8, 7 etc. It will enable you to recover permanently deleted, formatted and corrupted files from Windows OS. You can restore accidentally deleted data from Windows which is not in Windows recycle bin folder. It is marked as best Windows data recovery wizard by Windows MVPs. Quickly Recover Deleted Files After Formatting Windows 10, 8, 7 etc. Best Software to Recover Permanently Deleted Data from Windows 10, 8, 7 etc. CNET gives Windows Data Recovery Tool of SysTools a 4 star rating for its effectiveness in repairing Windows corrupted files successfully. It doesn’t matter that how your Windows data get corrupted. This Wizard will easily recover Windows corrupted data. 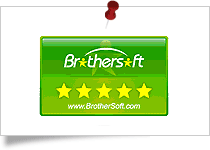 BrotherSoft gives SysTools Windows Data Recovery Software a 5 star rating for its brilliant service in restoring lost, deleted and formatted data. This Wizard is capable to recover permanently deleted data from Windows 10, 8, 7 etc. 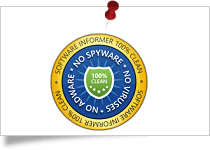 SysTools Windows File Recovery Tool got 100% clean and secure award from Softpedia for providing continuous and effective services to its users. The software is helpful to restore corrupted files from Windows OS installed system. 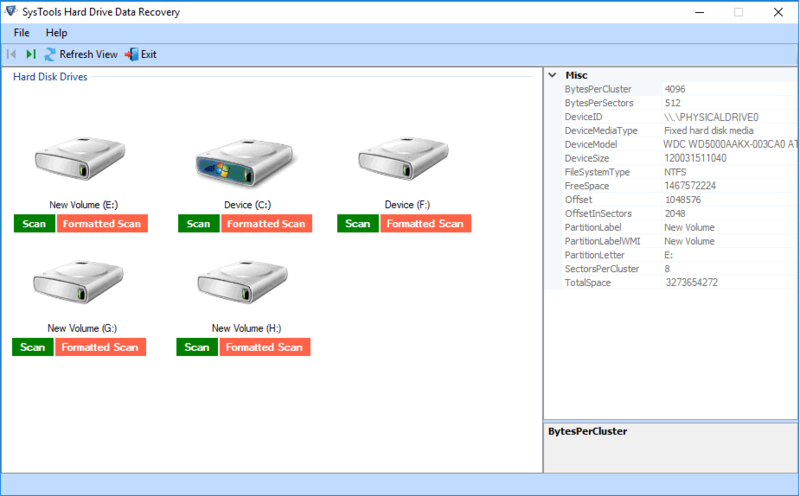 Windows Recovery Tool designed by SysTools is rated with 4 stars for it's optimal recovery process for deleted data from Windows OS systems. The software can recover deleted files even after emptying Windows recycle bin folder. 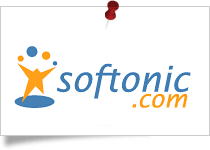 SysTools Windows File Recovery Software rates as the remarkable formatted and deleted data recovery software by Softonic. The tool is designed with superb techniques or algorithm to recover corrupted, formatted and deleted Windows files. Windows data file got damaged or corrupted is one of the most encountered error in today’s world. It results the high demand of lost data recovery software for windows. However SysTools Windows File Recovery Software provides optimal solution to restore lost windows files. 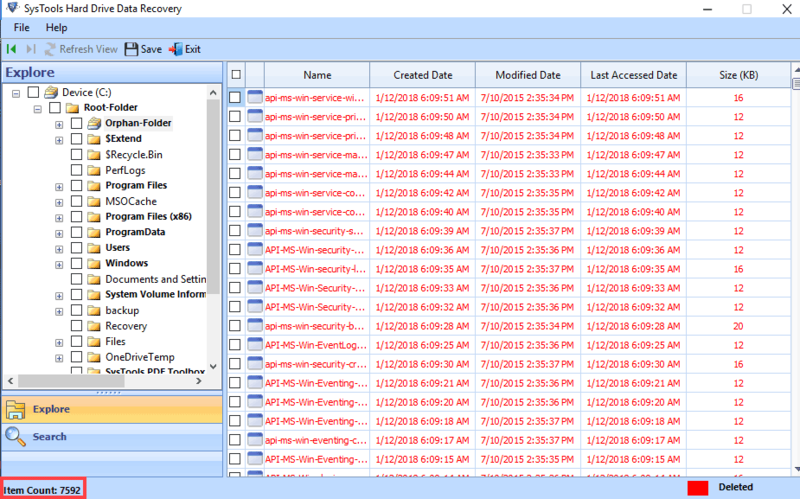 I James M. Fisher (MVP, Windows Expert-IT Pro), tested SysTools Windows Data Recovery Wizard and found it a safe and secure utility to recover deleted, formatted and corrupted data from Windows OS. SysTools Windows Data Recovery Software has many advanced features like recover from Normal & Shift Deleted Data, Formatted data recovery of Selected File & Folders, Easily Search & Sort recovered data. I Kunal Chowdhury, India (Microsoft Windows Development MVP) tested SysTools Windows Data Recovery Wizard and verified all features. It is a fantastic application & recommend this software to others users. According to me it is worth to Rate this software 9.8 out of 10. There have been so many software’s that I came across while searching to recover formatted data recovery from Window 10. So, I got this amazing utility, and I am totally satisfied with this Windows data recovery application. This provides me an assurance of its success to recover data from formatted Windows. Also, I appreciate the work done by the development team. This is amazing software and the perfect example of user-friendliness. It is quite simple to use, If someone says explain this software in single word so, I say Marvelous. As a Windows expert, I constantly research new and innovative tools to recover lost data from Windows OS due to deletion, corruption, formation or any other reasons. Once I stumble upon SysTools Windows Data Recovery Tool and I downloaded it immediately. I tested the software at an expert level and attempt the recovery of permanently deleted data from Windows 10, 8, and 7. Trust me, I got amazed with the results i.e., complete data recovery of all multimedia itemsThe GUI is clear, simple, and highly responsive. Great creation of technology. There is multiple causes that can result in Windows data file corruption. So, to avoid the data loss try out the SysTools Windows Data Recovery Wizard and easily recover corrupted files from Windows 10, 8, 7 etc. Once the data file get corrupted then you can not easily open. In this situation try this Windows data recovery software and easily recover damaged and corrupted data from Windows 10, 8, 7 and below versions. The tool will restore all files from corrupted Windows system. The data deletion can be intentional or unintentional but the outcome of both action is data loss. In today’s digital world all important files are saved in computer storage. If you are facing data deletion issue either normal deletion or permanent deletion. Add this Windows deleted file recovery software in your list. It will enrich you to recover shift deleted data from Windows 10, 8.1, 8, 7 and below versions. Restore files deleted from recycle bin windows 10, 8, 7 etc. Windows operating system is most used OS in world. Also, there is numerous reasons which force users to format Windows system. We all aware with the effect of formatting Windows, all data files will be erased. Yes, its 100% true, We also can’t lose out important files. So avail SysTools Windows formatted data recovery software. And securely retrieve files even after formatting Window. The Windows data retriever software enable users to extract their essential data from hard disk of any Windows PC. It is capable of retrieving photos, videos, documents, music, and all other multimedia files. Now it is possible to extract data from both NTFS as well as FAT type of partitions. Microsoft Windows recovery tool works with all editions of FAT and NT file system, including the latest ones. 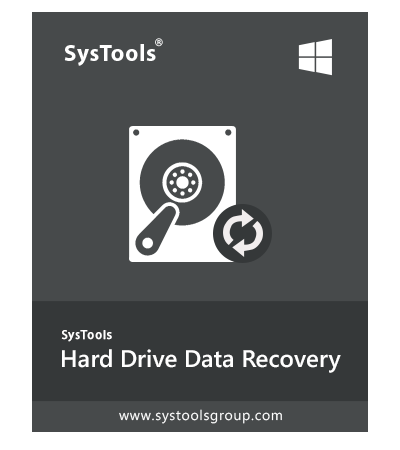 SysTools Windows data recovery tool permits end users to retrieve and save the chosen folder from the extracted data. Users can check / uncheck folders, which they want / don’t want to store on machine for the saving purpose. The items will be archived without affecting the existing items either irrespective of content, layout, or anything else. MS Windows repair software retrieves back the permanently lost documents, videos, photos, etc. In case, one have permanently erased their essential data by using Shift + delete command then, they can use this SysTools product to restore this lost data from the browsed partition. The retriever tool provides a separate option to extract data from the formatted partition. After activating this feature, software will restore all the erased items from the processing partition or drives (C: / D: / E: / F: etc.). There is no size limitation to recover formatted data from Windows 10, 8.1, 8 and all below. There is one or the another error faced by a computer user, when the Windows hard disk gets corrupted. Therefore, to fix all those errors, Windows recovery software is equipping a feature to tackle with damaged or corrupted hard drive. It will scan partition throughout in a deep way and extract all data from it. 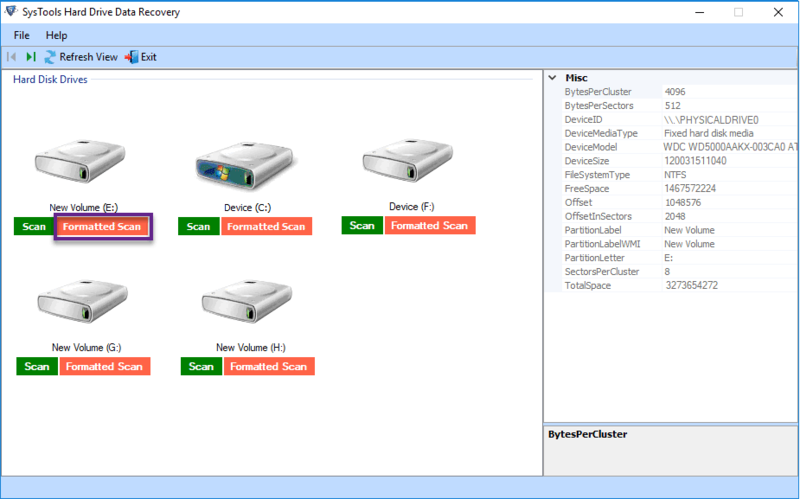 SysTools Windows data recovery software restores data in the same folder structure as the previous one. It ensures its customers that it will be recovering data from each and every folder that is available in the Windows disk. The tool works without making any manipulation in the original file formatting. Microsoft Windows File Recovery tool is well-enough to automatically detect all the partitions on any machine. It provides facilities to preview the regained items with all their respective attributes like disk number, model number, free size, partition type, and total size. The tool comes with an intelligent feature that allows users to preview only the desired items. Searching parameters like creation date, last modified date, and search for, are equipped by this Windows data recovery software. The tool rapidly filter outs all the unwanted items and displays only the desired data on the panel. After successful windows data recovery, the software enable user to sort the recovered items by its attributes. This option is applicable even if you perform recovery for permanent deleted data. You can sort the items by Name, Size and Date. After applying this feature user will easily arrange the recovered data either in ascending order or in descending order. The Free demo version of Windows Data Recovery software will generate only preview of recovered items. It recover deleted, formatted and corrupted data files from Windows 10, 8, 7 etc. But it restrict you to save recovered data. Find Your Question & Answer Here - How to Recover Lost Data from Windows? How can I Recover Permanently Deleted Data from Windows 10? Perform the steps and recover deleted, formatted corrupted data from Windows 10, 8.1, 8, 7 and below. 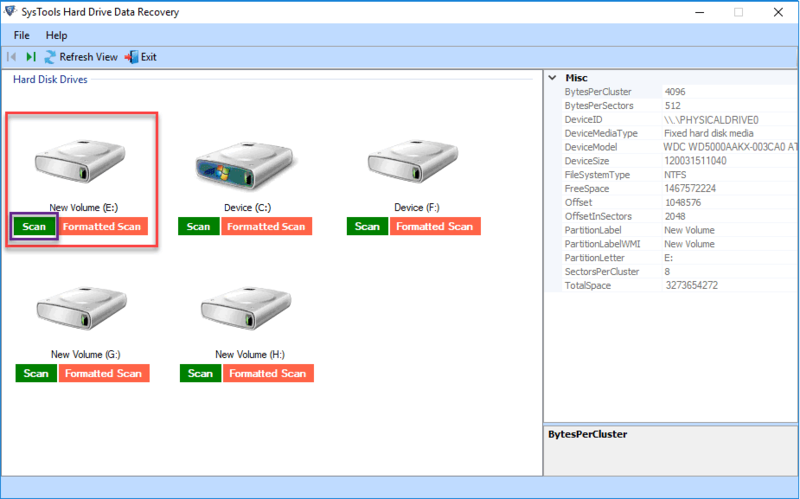 Perform these quick and simple steps to recover permanently deleted data from Windows 10 using SysTools software. Yes, this software can be installed on Windows 10 as well as lower versions of the windows OS Like Win 8.1, 8, 7, vista, xp etc. Is Software Posses any Size Limit to Perform Windows File Recovery Process? No, The software is capable enough to restore any size deleted, formatted and corrupted files from windows. What type of files can be recovered from Windows using this software? You can recover any type of file available on your system ranging from media files, documents, DLL files, to even databases with the help of this Windows deleted data recovery tool. Can I View Scanned Files Before Extracting? Yes, The Software provides data preview option. In this the tool will list entire scanned data files. Is it possible to recover shift deleted photos from Windows 8 computer? Yes, After downloading and installing this Windows data recovery wizard you can easily recover permanently deleted photos from Windows 8. Also, the tool support recovery from Windows all versions. It also, ensures that the image quality will not be reduced after recovery. Windows data recovery software served my need to recover windows lost data that was deleted accidentally from my Windows PC. The data that was deleted was very important to my official reports. Thanks to Systools Windows Deleted Data Recovery Software. It is very effective, it is highly affordable and above all it is simple to use and execute the recovery process. It easily recovery permanently deleted files from Windows 10. I will appreciate and promote this tool in my circle and recommend them to. 24x7 support team really works 24x7- I came to know this when I contacted the support team for Windows deleted Data Recovery software midnight. I was working with some of my reports and documentation and for this I need some data that were in the disk that was formatted recently. Right then I downloaded and installed the Windows File Recovery software, free version was satisfactory in working, but I was having some issue in the payment when I tried to make the card payment for full version of the tool. I am using Windows 10 on my Dell laptop. Yesterday night my daughter was playing game. I don’t know what happened. Now all files stored in windows partition are missing. On various search I found this windows data recovery tool and restored lost files easily. The utility is quite easy to use, just download and install and it will show all your partitions. Simply select from which files deleted and Scan. After that the tool will start scanning and listed all files and folders. I simply recovered deleted files from Windows. 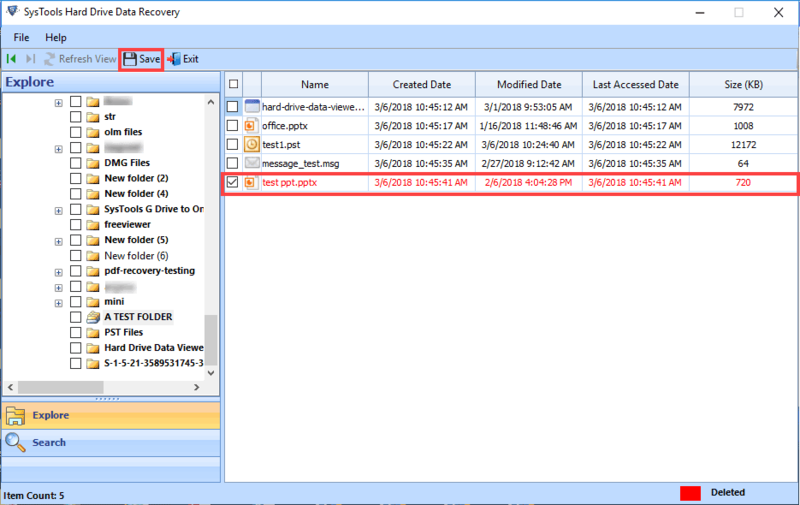 Part 1 : Recover Permanently Deleted Data from Windows 10, 8, 7 etc. Step 1: Initial Screen of Windows Data Software will appear like this. Step 2: Here select partition and hit either Scan or Formatted Scan button. 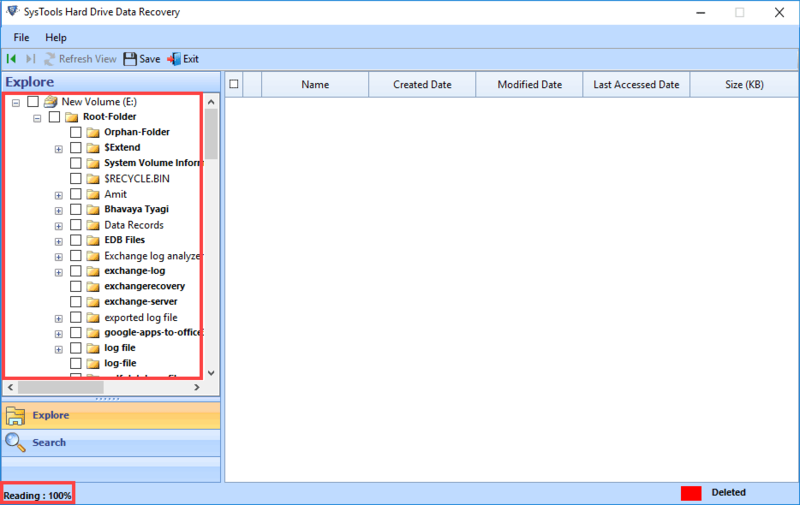 Step 3: Preview complete recovered data items in Windows data recovery wizard panel. Step 4: Save recovered data files from windows at any location.